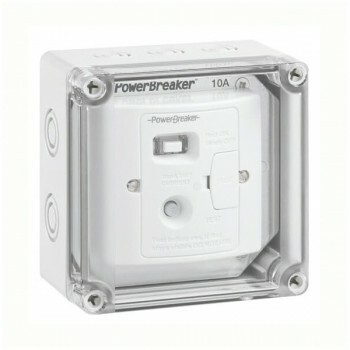 PowerBreaker PowerX IP67 Weatherproof White 10A RCD Fused Spur at UK Electrical Supplies. 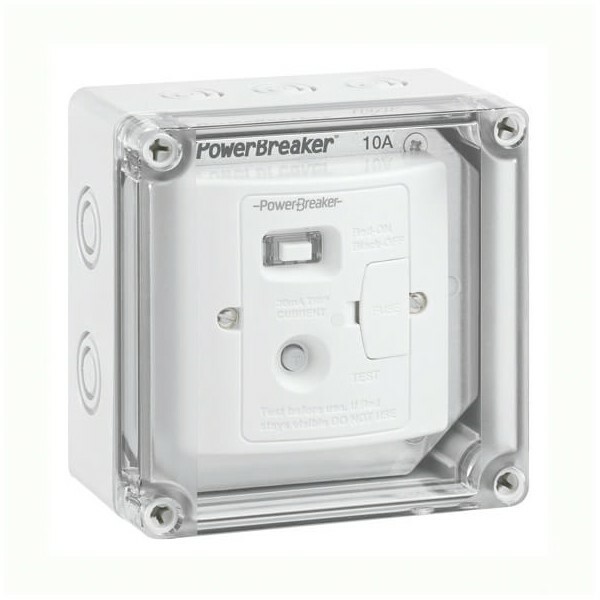 Protect yourself from electrical faults with PowerBreaker’s White 10A RCD Fused Spur (H92IP-X), part of the PowerX range. Residual current devices, like the H92IP-X, monitor the current flowing through their live and neutral wires and, if they detect an imbalance, automatically cut the power in less than 20 milliseconds i.e. before it can cause any damage. Like the rest of the PowerX range, this weatherproof RCD fused spur has been specially designed for outdoor use, so it’s tough enough to withstand most weather conditions. In addition to being IP67 rated, it features a clear high-impact polycarbonate lid, rust-proof hinges, and UV protection to keep it from deteriorating in the sun. It also comes with a brilliant LED power on indicator and a one year guarantee for added peace of mind.